Reading have had great success in the 21st century with bargain signing; Nicky Shorey from Leyton Orient for £25,000 in 2001, made over 250 for the Royals and represented England on two occasions and was the first Reading player to be capped by England since Herbert Smith in 1907. Or Dave Kitson, bought for £150,000 from Cambridge in 2003, scored over 50 goals for the club, helped secure promotion to the top flight for the first time in the club’s history before being sold to Stoke City for £5.5million. 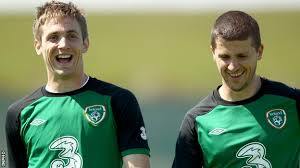 However, in my opinion, the greatest transfer in Reading’s history has been that of Kevin Doyle.